Goals. I found a recipe for success! I had a rough idea in my head of my 2017 goals. Some random things like make time to read and more time to blog, walk the dogs, spend more weekends over at my Mom, visit my Dad more regularly, stress less at work, lose weight (yeah, who doesn’t list this!). But it was only when seeing KK’s running calendar and knowing the finishing times for the races he plans to run this year that I realized that as much as I’d like to think I’ve set goals, unless I follow up with a proper action plan, I’ll never succeed. 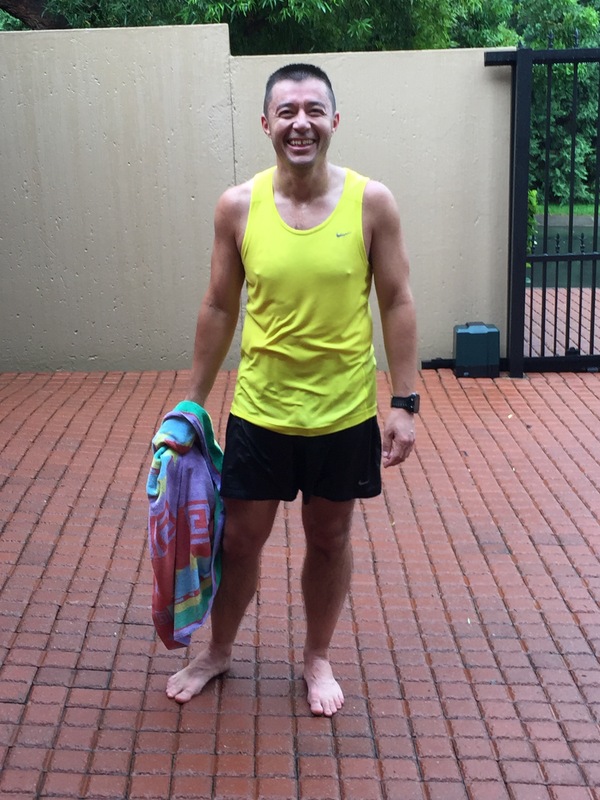 In the last few weeks, we’ve had quite a bit of rain which didn’t stop him from running. Pffft! Unlike me. I’ll confess that sometimes I secretly appreciate that I can sleep late on a weekend listening to the rain fall. KK is dedicated to his running goals. He is consistent, motivated and disciplined. But more importantly, he has a vision. He knows the races and times he wants to run this year and knows exactly what he needs to do to achieve this. He has a plan and he works at it. That’s the perfect recipe for successful goals right there. The races I’ve entered so far are as follows. Let me know if I’ll see you there? Deer in the headlights moment! Now all I need to do is put my plan in place as to how I manage to make time to read and more time to blog, walk the dogs, spend more weekends over at my Mom, visit my Dad more regularly, stress less at work, lose weight, all in between training for these races. This entry was posted in My Engineer, My Goals and tagged coach neville beeton, race calendar, running goals by Bo. Bookmark the permalink. I’ll see you at Vaal, PnP and Two Oceans! Whoop!